Learn from an expert instructor without leaving your home or office with live online courses. Live instructors leading small-group online courses. Same expert instructors that teach our in-person classes. See the instructor’s screen and ask questions in real-time. Hear and talk with the instructor using a provided headset or use your computer’s audio. Instructors are the authors of Dummies and Digital Classroom books. Small class sizes: average class size is four with a limit of six participants in public courses. Discover the process and methods for creating stand-out websites and apps with our online user experience classes. Our live online UX training is delivered by the same instructors that teach UX workshops in our classrooms. Learn effective UX processes that help keep your projects on-track, and deliver a better experience for your users. Learn how UX can drive results, reduce costs, and improve revenues in these UX courses. Participate in any of these regularly scheduled Photoshop classes online, led by a live instructor. Learn from the authors of the books Adobe Photoshop Digital Classroom and Adobe Creative Cloud for Dummies. These live classes are small-group, and include hands-on exercieses and projects. Our InDesign courses online are led by a live instructor and help you quickly gain skills necessary for creating print and digital documents. Learn InDesign from authors that have written more than 10 InDesign books and are exceptional at teaching. Learn from the same team of instructors Adobe selected to introduce InDesign to their clients around the world. Our live online Illustrator courses are for all types of designers. Discover how to use Illustrator for creating products, packaging, models, branding, advertising and marketing artwork. Our instructors have written seven best-selling books covering Illustrator, including official books for Adobe Systems. These courses provide you with exercises, projects, and an expert instructor in a small-group online Illustrator course. Discover how to efficiently use the widely-used digital video editing app included with the Creative Cloud. Our live online Premiere Pro courses teach you skills for importing, editing, and creating complete projects. Our classes are led by the authors of the Adobe Premiere Pro Digital Classroom book. Learn After Effects from experts in special effects and animation. Our team wrote the After Effects Digital Classroom book. You'll learn to create complex motion graphics and effects quickly with live online After Effects training led by expert instructors in small-group sessions. Learn web design with introductory through advanced Dreamweaver training classes led by a live instructor. Our team wrote the Adobe Dreamweaver Digital Classroom book, so you'll be learning from experts. Benefit from their expertise with Dreamweaver and web design. Discover easy ways to create interactive and animated content using Adobe Animate. Classes are led by our staff who have written the best-selling Digital Classroom book, and you'll work on modern HTML5 and CSS3 animations in this visual design tool. Learn all that you can do with Acrobat and PDF in these live online Acrobat courses. Discover how to secure, edit, and add comments to Adobe PDF files. Learn from instructors with 10 years of Acrobat experience who have written several best-selling books about Acrobat and the PDF format. Our live online Captivate courses help you to quickly and efficiently create e-learning and recorded training content. In these Captivate workshops you'll gain hands-on skills you need to get up-and-running with practical skills. Our Adobe Creative Cloud courses and Creative Suite classes help you master these design, interactive, and publishing applications. Learn to quickly create compelling presentations that you can deliver using your Mac or iPad with our live online Keynote courses and online Keynote training programs. You'll be quickly importing, editing, and rendering high-quality digital video projects with the skills you learn in our Final Cut Pro courses. Learn Google Analytics and discover who is visiting your site, how they arrived, and what they viwed. Our Google Analtytics training courses help you to quickly understand and measure what is happening on your website. Our live online Google Analytics courses are led by a live instructor, and you'll be able to work on your own Google Analytics account. Learn HTML online and gain skills that are essential for modern design and development. These online HTML courses provide the foundation you need if you plan to create websites, marketing emails, or work with a design tool such as Dreamweaver, or a CMS such as Drupal, Joomla, or Wordpress. Our online HTML5 courses give you the skills to create modern, interactive websites. You'll discover how to create modern forms, use web fonts, and understand ways to make the most of the modern web with HTML5 and CSS3. Gain HTML email skills for modern marketing in these online HTML email classes. Start with foundational skills covering the essentials of HTML email marketing and design, then move to advanced HTML email training covering responsive email design. Learn CSS for styling and formatting text and layouts. These online CSS courses include introductory through advanced CSS training to help you build your web design and development skills. Find out how to use Sketchup efficiently to easily create designs for architecture, interior design, and product design. These live online Sketchup courses are offered monthly and provide a small-group way to effectively learn SketchUp. Learn to create web designs that work well across desktop, laptop, tablet, and mobile devices in these live online courses. Our web design workshops teach skills needed for designing and building better websites. Learn to design with web accessibility in mind with these live online web accessibility courses delivered by expert instructors. Our live online WordPress classes teach you to create and manage sites using this popular content management system. Our introductory WordPress courses provide a fast and easy way to learn hands-on, and advanced training is available for site administrators. 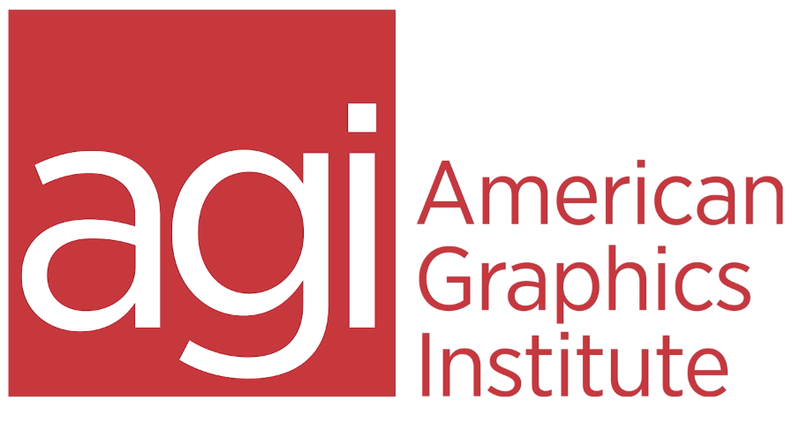 American Graphics Institute offers more than 100 regularly scheduled public courses and many more as private or customized classes. Search our courses or call 781-376-6044 to speak with a representative. If you or your organization is considering multiple classes, consider our training passes or training vouchers. Most regularly scheduled online training classes start at 9:30 a.m. and end at 4:30 p.m. Eastern time. There is a one hour lunch break taken approximately at noon each day. With your class registration you will receive a web address and code to log-in and participate in your class. You may always call a training consultant at 781-376-6044 or 800-851-9237 if you have questions. Custom classes and private training are available online and can be arranged to accommodate your schedule. Call a training consultant at 781-376-6044 to discuss details for private online training classes or complete our contact form. The requirements for online training are relatively simple. If you are online viewing this page, you likely have everything you need to participate in an online training session. Computer: A Mac OS or Windows PC with a high-speed Internet connection. Applications: We recommend you install the relevant course applications prior to receiving training. For example, if you are taking a class on Photoshop, we recommend having Photoshop installed before the start of the training session. If you are uncertain as to what applications or tools you should have installed, ask us when registering or contact a training consultant at 781-376-6044. Speakers and Microphone: If your computer includes a speaker and microphone, you may use these to communicate with the instructor, or request a headset be included with your curriculum. We also provide a dial-in number if you prefer to use your phone. Books and curriculum: American Graphics Institute provides curriculum with all classes. Your curriculum will arrive a few days before your class is scheduled to begin. Many of our classes use Digital Classroom Books written by the instructors at American Graphics Institute.